SuperTradingOnline (STO) offers clients different ways of trading the financial markets. You can trade forex, indices, commodities, equities and bonds. We are regulated by the UK Financial Conduct Authority (FCA) and Cyprus Securities Exchange Commission (CySEC), ensuring a trustworthy relationship with our clients.We offer a number of different account types to suit your needs. From our MT4 Classic account, suitable for most traders including beginners, through to our STO Premium account, which offers tighter spreads and ECN trading conditions, and our AFX Fast platform, which offers institutional level forex and metals trading conditions. 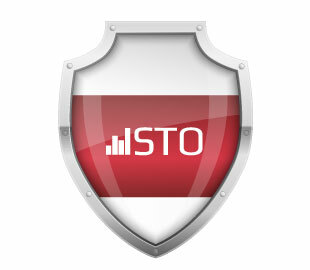 To put your STO trading account under our IB group you need to send an email to customerservice@stofs.com. Find below the sample of the email. Please place my account no. : ............... (put your account number with STO) under IB 22616 (for account under CySEC) or 23703 (for account unde FCA UK) - Financial Trading Art. *The Rebates are calculated for one round turn lot (100,000 units) for Currencies, (10 oz) for Gold, (500 oz) for Silver, (100 bar) for Oil, (one share) for Equity CFDs, and (one contract) for Equity Index CFDs. **USD30: USD 7.00 , SPX500: USD 0.70, NADAQ: USD 2.00, USRUSS2000: USD 0.70, FRENCH40: USD 2.00, GERMAN30: USD 2.00, SPANISH35: USD 7.00, EUSTOX50: USD 2.00, UK100: USD 2.00, ITALIAN40: USD 7.00, JAPAN225: USD 7.00, HONGKONG33: USD 7.00.